This picture was taken at Naples Botanical Gardens in Naples, Florida in April. 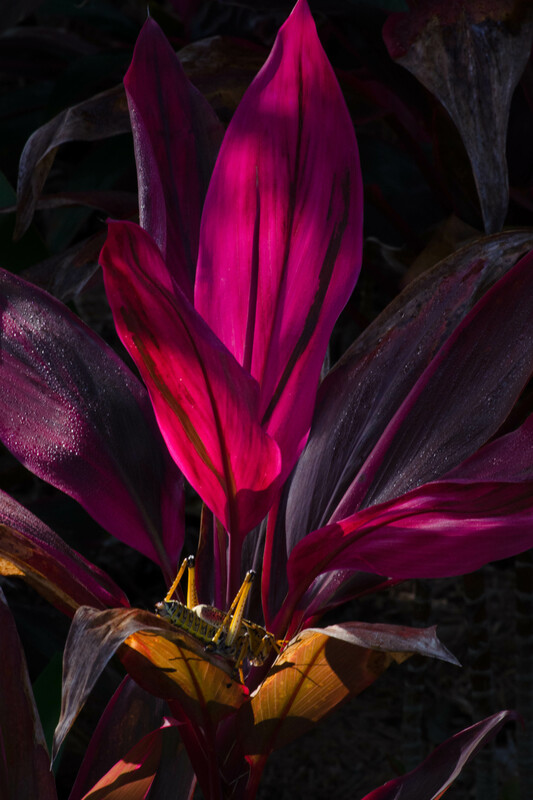 I was quite startled by what I thought was a giant grasshopper (4+ inches), but recovered enough to enjoy the wonderful light-and-dark contrasts, shadows, and lines of the setting. I later found out that the grasshopper-like creature was a lubber. This variety is found throughout much of the southeast United States. Anyone know the name of the plant in the photo? I also enjoy hearing your thoughts. Number 1 will be revealed next Monday.